Who has passed on in your history, in the past few years, or even since the last Memorial Day? Memorial Day is not only a time to remember deaths, but more importantly a time for us to remember the lives and contributions of those that have served, sacrificed, or meaningfully touched our lives and passed on. If you truly valued the life of someone now departed, stop right now, write down their names, say a prayer for them, and REMEMBER them befittingly. What lessons can be savored, internalized, and used as a guide to make us better humans, employees, friends, spouses, students, neighbors, citizens, parents, children, and stewards of this beautiful planet? Take a lesson from Sharon Parker of ROASA, Remembering Our Ancestors Synergistic Association who pulled together a local community to repair a leaking roof on the home of an elderly couple’s home or Judith Clark of Women Who Care Ministries whose non-profit brings together young and old volunteers who stand out in the scorching hot sun or freezing snow to collect food to feed hungry children. And, remember those who are not traditionally remembered. Remember the Buffalo Soldiers and women who have served our country. 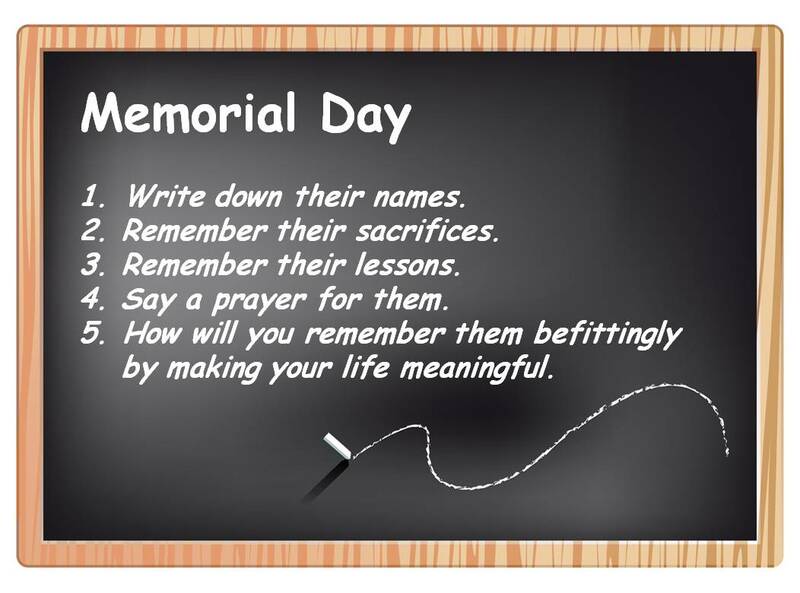 ← Memorial Day: To Remember or Forget? I love your dedication to the memorial day people. Have a nice weekend.